Hello my lovely readers, I hope you all had a great Christmas, had lots of fun and got spoilt rotten. I know you will probably be seeing a lot of these type posts soon but I learnt so much from this year that I wanted to share it with you. 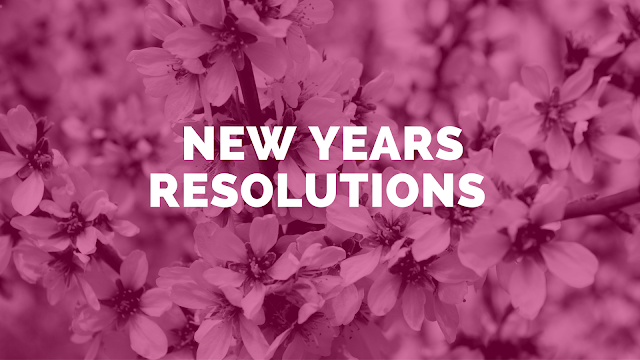 So today's post I will be sharing the lessons I learnt from 2015 and the resolutions I'll be making for 2016. Lesson: It's pointless worrying about the future. I tend to fret about the future so much but it's silly, the future is going to happen and what will be will be. If you worry too much about the future you won't be able to enjoy the now. Resolution: Stop worrying about the future, concentrate on the present and enjoy it. Lesson: If you let people walk over you or make you feel bad about yourself they will continue to do so. If you stand up for yourself people realise you aren't a pushover and won't be able to make you feel bad about yourself. Resolution: Stick up for myself more, I've already started to do this and I already feel so much better. Lesson: Life won't always go to plan that's just a fact. Things will go wrong but when they do they open up another opportunity and another adventure. Resolution: Doesn't worry or panic when things don't go to plan just go with the flow and relax. Lesson: People won't always "get" you, sometimes even your own family. Don't try to fit into someone's idea of who you are, just be yourself and don't care what people think of you. Resolution: Always be myself and don't be upset or worried when people don't understand or don't like you. Lesson: Travelling is one of the best things you can do in life. You see amazing new places and people and you open yourself up to new experiences. Resolution: Travel as much as I can, make sure I see something new every day. I also have a few resolutions which aren't deep and meaningful but that I want to try and give them a go. I hope you all enjoyed reading about what I learnt this year and what my resolutions are for 2016. What did you learn in 2015? Do you have any New Years resolutions? I know how you feel it's so pointless worrying it's spoils whatever is happening in the now. Yes hopefully we'll manage to cook more and we can share recipes that would be so awesome! Haha don't worry my gorgeous friend I didn't get to send yours either I was super being around Christmas (there was an emergency with one of my friends) so you'll be getting a very late card too haha thank you my absolutely beautiful wonderful friend, I hope you have an amazing 2016! Thank you so much, I'm really glad you liked it! I hope you have a great new year! Thank you I'm glad you liked it. That's great that your resolutions are to focus on yourself and relax hopefully it will make the new year very relaxing for you! Yes I definitely think you should keep what you learned the previous year in mind for the coming year, it's so helpful. Thank you for stopping by, I hope you have a wonderful 2016!